Halliburton has announced the release of GeoTech HE™, a robust drill bit that incorporates new features and materials to deliver enhanced performance and increased reliability in today’s high energy drilling systems characterised by very high weight-on-bit and drilling torque. 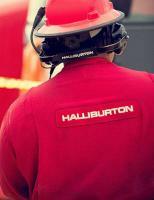 Each bit begins with Halliburton’s Design at the Customer Interface Process (DATCI) which deploys a global network of technical experts who engage directly with customers for optimisation of bit design for a specific application. This process accelerates development and eliminates the lengthy and expensive trial and error approach. For an operator in the Williston Basin, GeoTech HE drill bits reliably increased drilling speed and decreased the number of days to drill a lateral by 14%. Introduction of the new technology helped increase reliability by reducing the occurrence of high energy bit damage resulting in zero failure rates to date.